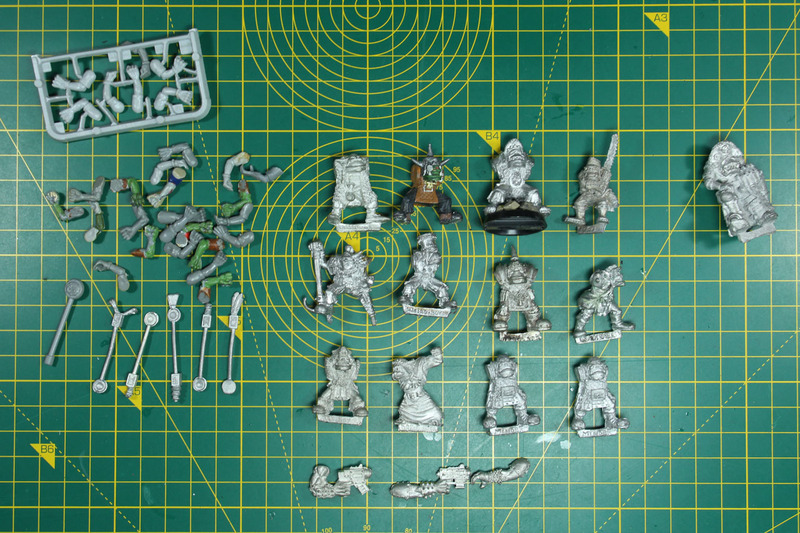 One important to thing, when you're buying second hand / used miniatures, especially multi-part, that you're aware that they are multipart. 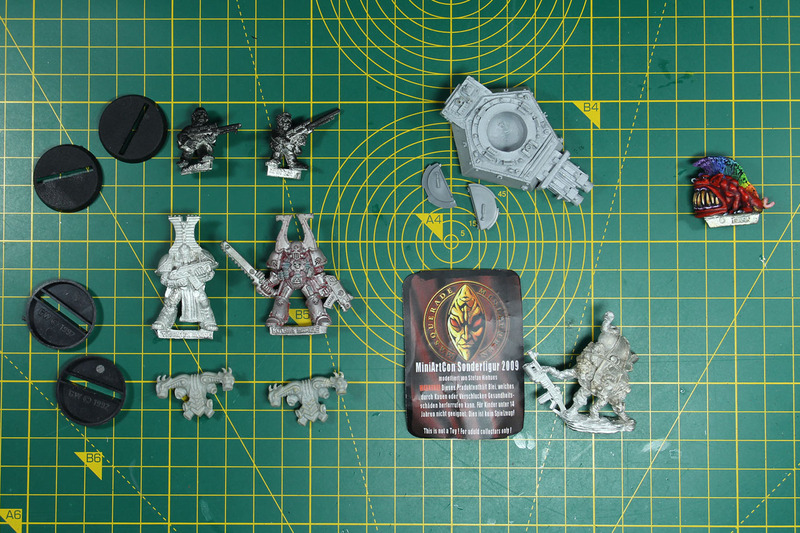 To stay with the example of my Imperial Guard project, it is not that useful to buy a cheap griffon without the crew or a Yarrick without his banner and then spending more money and time on looking for that missing bit. Therefore it makes more sense to buy the complete model and save yourself the hassle. 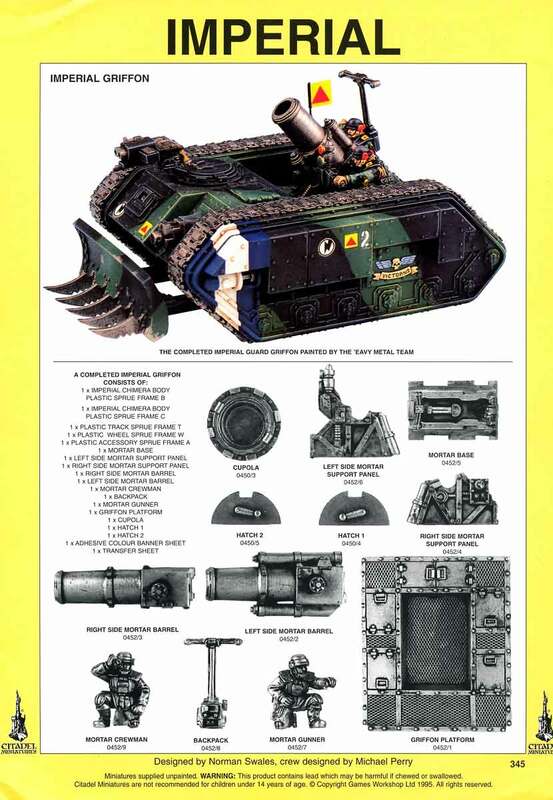 But in somecases it is difficult to be aware, that there are missing pieces, for example with the commlink operators, often the commlink backpack is missing, or the turret armour of the hellhound.So, check out the catalogue pages and know what you're looking for. With the Champions of Chaos for example, many have an off-hand using a shield. 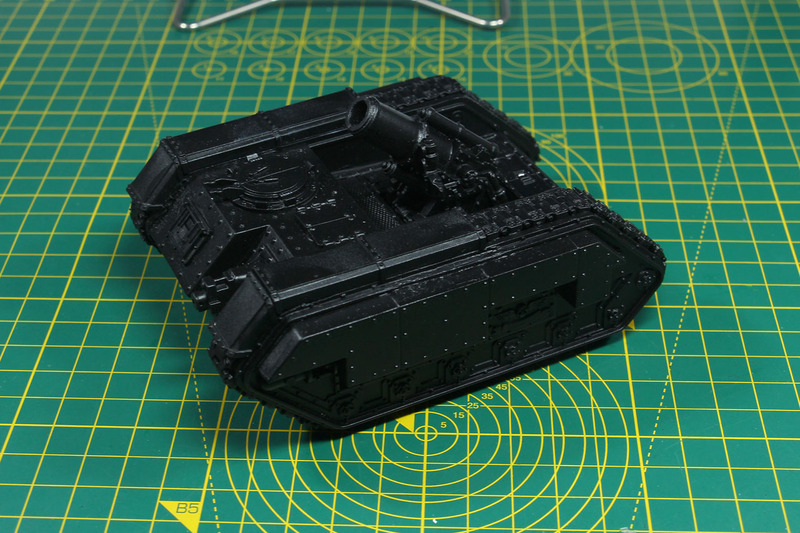 So having the miniature itself is one thing, but having the matching bit to complete the miniature another. 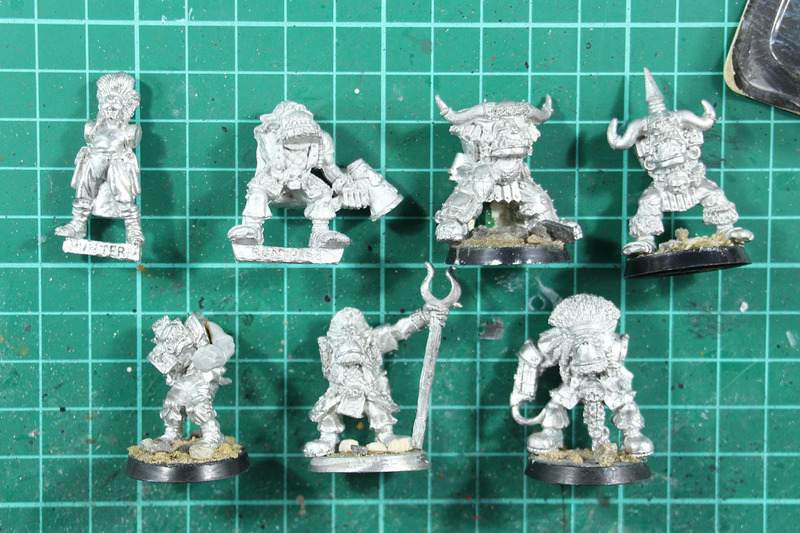 Same goes for old Chaos Space Marines, the metal miniatures are easy/easier to get your hands on, having the matching backpacks is another item to look for. 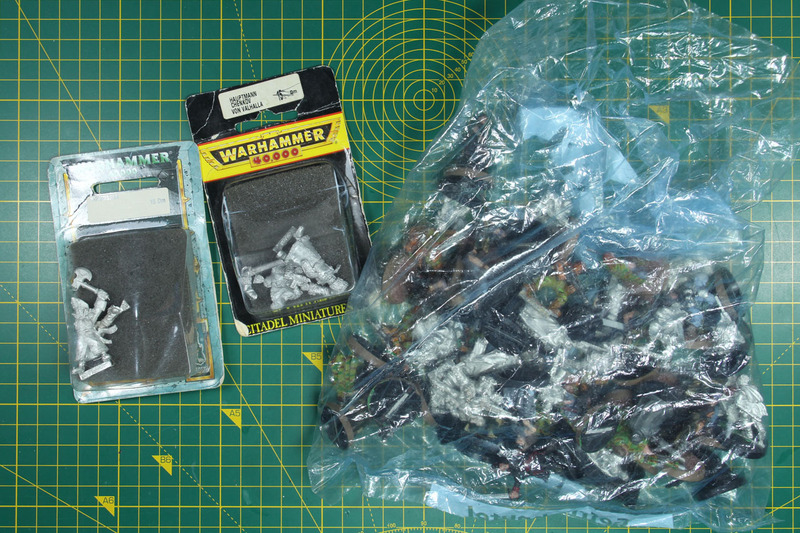 Source number one for second hand miniatures is of course your local eBay page, but more important eBay.co.uk. 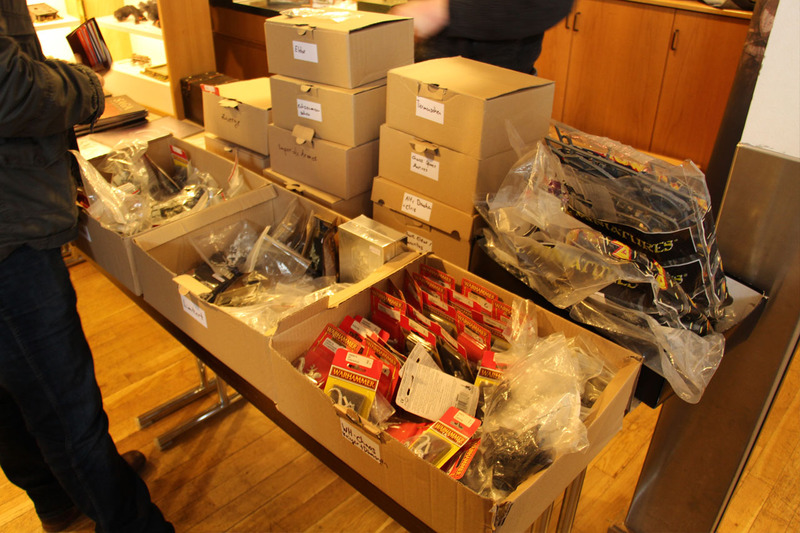 With Great Britain being the homeland to the vast majority of companies within wargaming, they have a lot more of product. In addition, depending on your local structure, the eBay small ads (eBay Kleinanzeigen in Germany) or similar smaller online flea markets, can be good for the ocassional findings. The do not have the broad range of offers, compared to eBay, but you might get lucky. In the States there are several shops, like goodwill thrift stores, that may keep a surprise for you in hand. If you're using social media and communities, it absolutely makes sense to check out Groups like Oldhammer Trading or Middlehammer Trading Outpost on Facebook, some armies / races have their own groups dedicated to them. 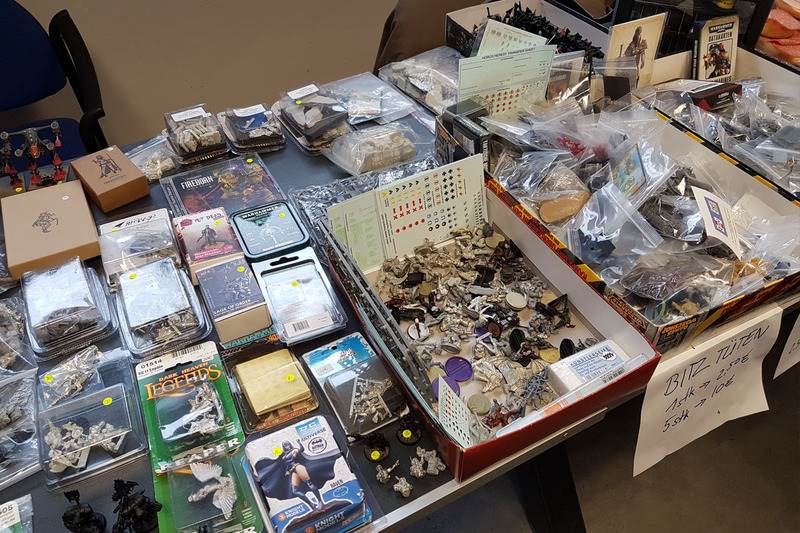 With the market function being expanded and upgraded, Facebook becomes a more and more interesting source for second hand / old miniatures. And of course, the communities and boards in your country or boards covering special interest parts of the hobby are useful as well. I recommend boards like Lead Adventure Forum, Oldhammer Board. Remember, if the audience / members of the boards are a certain age, it is more likely for them to have the miniatures you are looking for. 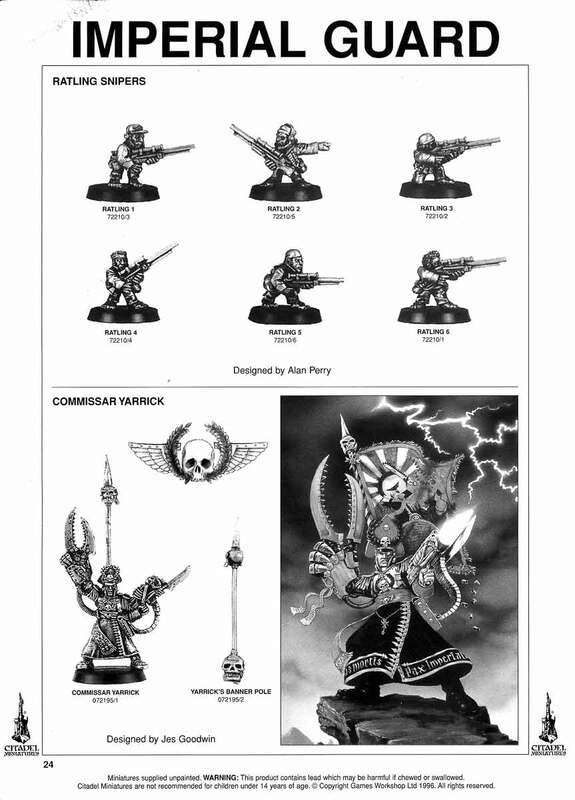 An Age of Sigmar community focused on newcomers is rather unlikely to cover 4th edition miniatures. 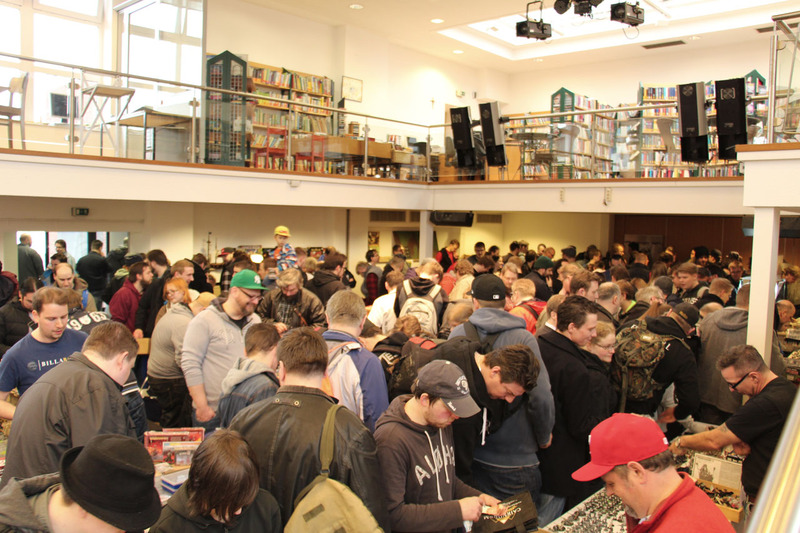 I personally enjoy the Bring & Buy areas of larger cons, like Salute or Crisis, but specific flea market events, that we have quite great ones in Germany like the legendary Bitbox, or the recent newcomer Puppen Shoppen. A few impressions below. And I managed to find quite some good stuff for these projects of mine and friends. Having a smartphone makes it possible for me to spot something in Western Germany at a market, take pictures, send it to a friend that is on the other end of the country and "scout" / "spot" some items for his own collection. Sometimes I buy duplicates or larger lots, with items that I don't need for myself, but have a certain value. 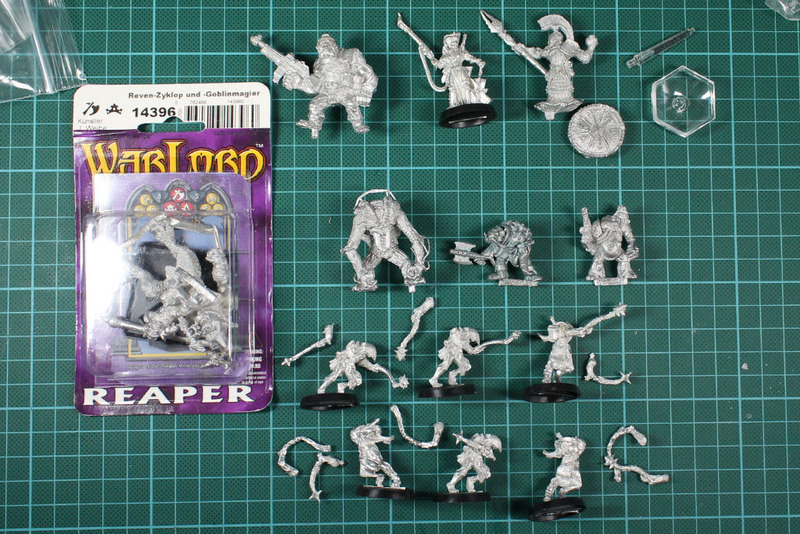 This miniatures / kits are great for trading, as it is easier to exchange one rare miniature against another, compared to settling on a price of 20+ EUR for a single miniatures. 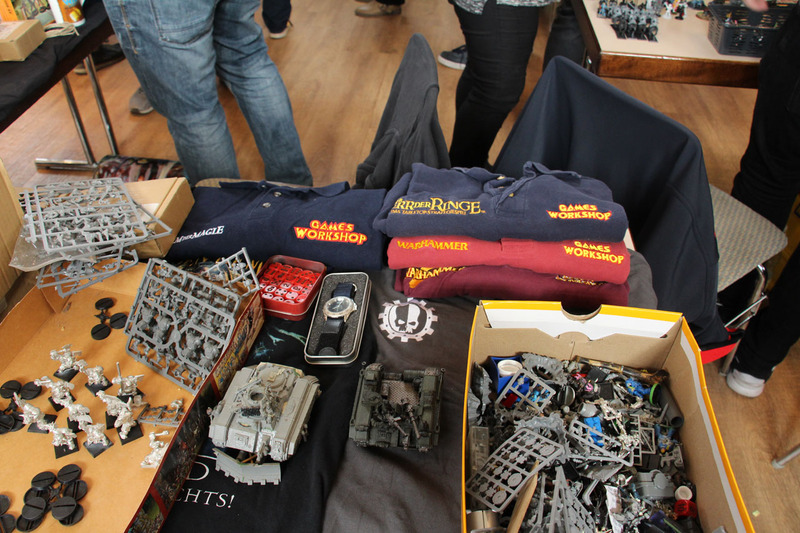 For example Games Day miniatures are quite stable at their price point and looked after, so if you're offered one of those at a bargain price (15 EUR or less), it may make sense to buy them, as they can be traded for something of higher value, without having to pay the upmark. If you're buying online, make sure to check out who you're buying from. Check out the pictures, in doubt, ask them to take additional pictures. On facebook, for example, check out if you have common friends or see if they are thrustworthy. A real name and proper profile is more thrustworthy than some random nickname with an Anime avatar. In some communities / boards, you have to be part of the communities for a certain amount of time or have to participated with a certain amont of comments / posts, to have access to the market pages. Some even keep lists of good trade partners. Paypal has become incredibly handy, as well a friend abroad as a second shipping adress, to save on shipping charges. In some countries you can even have remote shipping adress, collect packages and have them ship as once. Just be aware of the charges at Paypal for buyers protection as well as the sometimes rather harsh fees / unrealistic exchange rates, when you're buying from a country with a different currency than yours. Make sure that the people you are buying from are packing your models properly and don't skimp on tracked / insured shipping. Nothing worse than receiving a ripped envelope, with that miniature you've been looking for for so long. 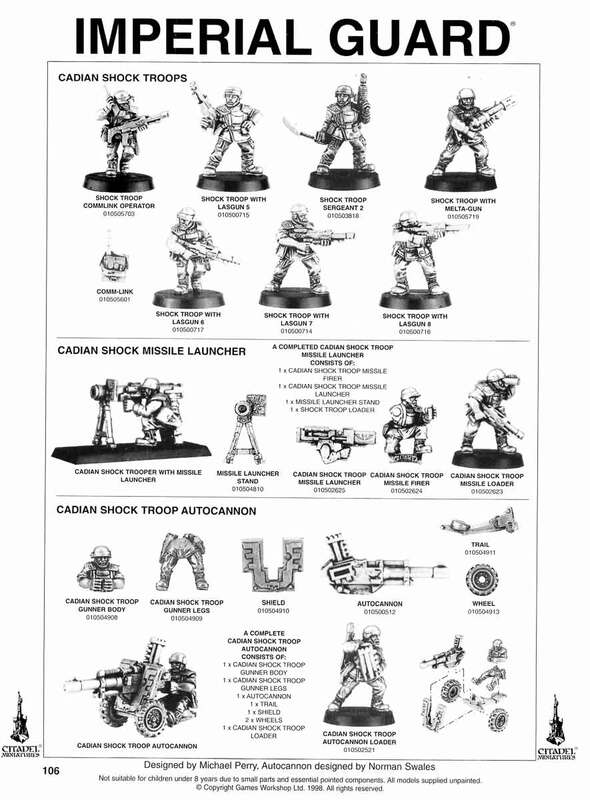 The old Cadians were much cooler and more realistic in overall design then the modern cadians. They actually looked like proper soldiers, i wish they stuck with that design. I still remember them from the cityfight codex from around 2003 i think. Unfortunately they are quite expensive on eBay now.